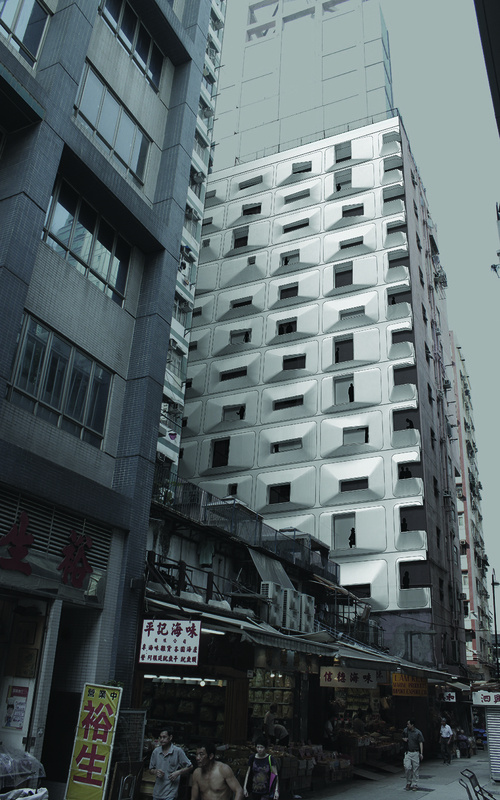 HK:SOS Hong Kong Single Occupancy Strip by Carlow Architecture & Design Ltd. Winner: Carlow Architecture & Design Ltd. 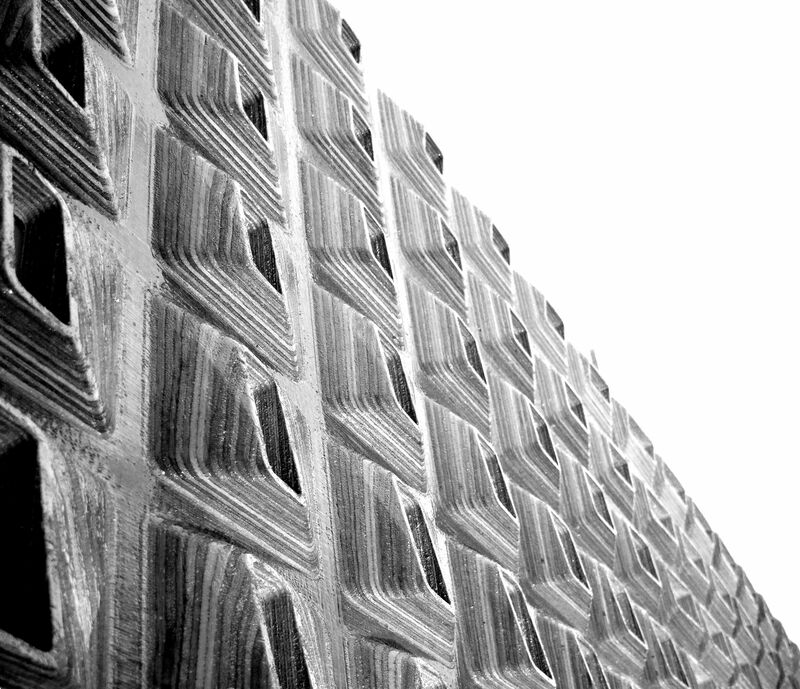 This design project seeks to address typical modes of standardized design and production by investigating the use of parametric design and modeling technologies for pre-cast building facades. 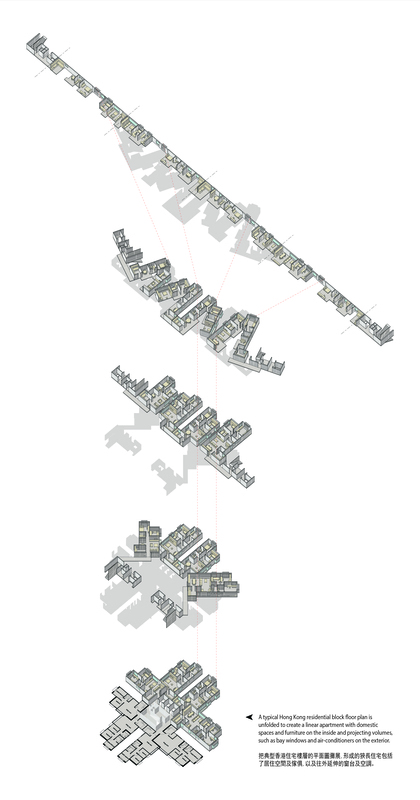 The project also addresses issues of density and urban compaction, specific to cities like Hong Kong, by proposing a radically thin, residential building type. A typical high-rise, Hong Kong apartment building is unfolded into a linear array of rooms resulting in a strip of exterior and interior space that provides the project with a conceptual platform. The unfolding revealed a thickened façade system where window projections, balconies, and mechanical systems on the exterior were directly related to furnishings, rooms and space on the interior. 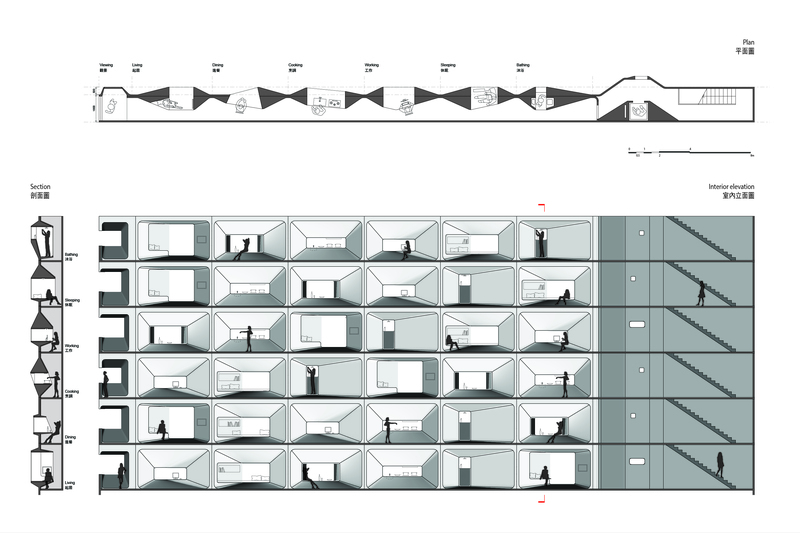 By rearranging a series of residential programs into a thin strip, the project pushes the design of a domestic environment to a spatial extreme. The project utilized advanced parametric modeling tools to develop a catalogue of projecting bay windows that offer subtle variation in window height, width, depth and orientation. 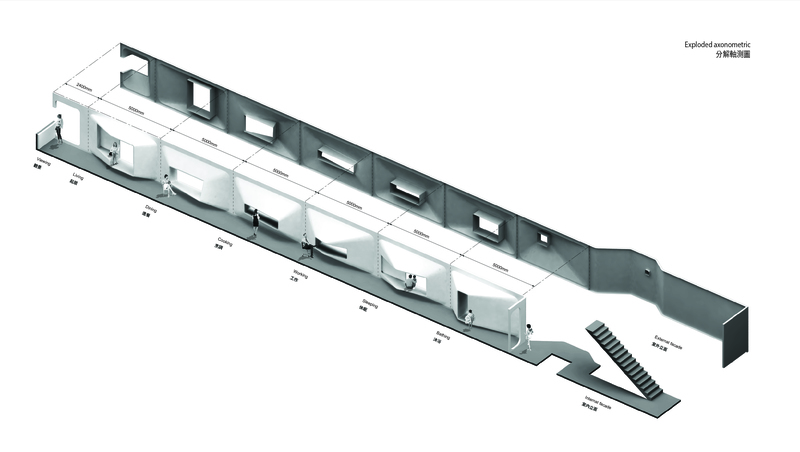 In the prototype, spaces for living, dining, cooking, bathing and sleeping are arranged in a linear array of miniature rooms. Window units are angled and inflected to adjust for privacy or views. Room types can be sequenced differently on each floor according to the desires of the occupants. Units are stacked on top of each other to create a building that may be attached to the blank party walls of industrial or commercial buildings to take advantage of highly valuable, under-utilized space in a hyper dense city.